Escape to a paradise of powdery white beaches and tranquil turquoise seas when we reserve your stay at Dreams Resorts & Spas. All the pieces fall into place at Club Med’s all-inclusive resorts. Hear the new sound of adventure with Royal Caribbean® on its biggest and boldest new ship. Discover the real magic of the world together. By land. By sea. By Disney. Norwegian Cruise Line® shows your family traditional Northern Europe from new perspectives. Create long-lasting memories when you reserve your stay at inspiring hotels and resorts around the world. When we reserve your Club Med vacation, you never have to worry about a single detail. From the white sands of Mexico’s newly renovated Club Med Cancún Yucatán to the turquoise waters of Club Med Punta Cana, your truly all-inclusive vacation hits every mark with an array of dining options, thrilling land and water sports, and luxurious accommodations to suit couples and families alike. Forget about divvying up the check or dealing with picky kids at mealtime. With all-inclusive dining and drinks, the only question you’ll ever ask is, where should we eat next? 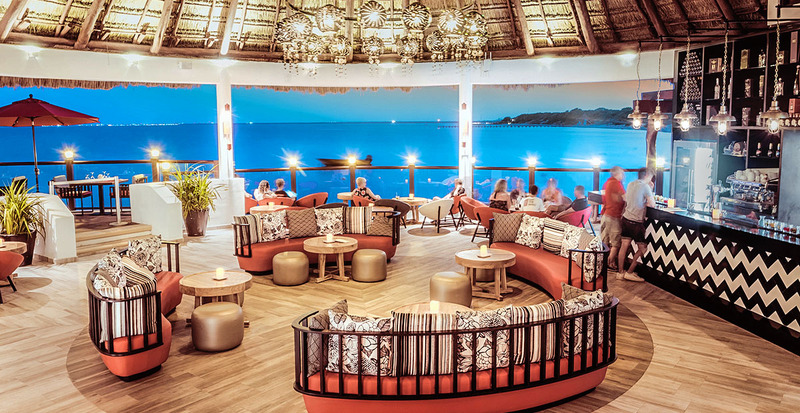 Club Med Cancún Yucatán’s newest additions include an Argentine feast at La Estancia and modern Mexican cuisine at the oceanfront Taco Arte (we love the chopped salads prepared tableside!). Or savor the Caribbean flavors at Club Med Punta Cana’s Indigo, while Hispaniola presents international cuisine right at the water’s edge. You’ll fall in love with beach life from the moment you skim over clear waters on a stand-up paddleboard, don a snorkeling mask to plunge undersea or challenge newfound friends to a game of beach volleyball. Unwind with a yoga session or sink into your beach chair for a laid-back day under the sun. Every resort stay includes outdoor adventures that shine a spotlight on the world’s most breathtakingly beautiful beaches. Seaside views are simply the first thing you’ll appreciate about your accommodations, designed with couples and families in mind. Let us reserve your spot in Punta Cana’s adults-only Zen Oasis rooms, or select a 5-Trident Family Suite complete with hand-delivered champagne and concierge and luggage services. 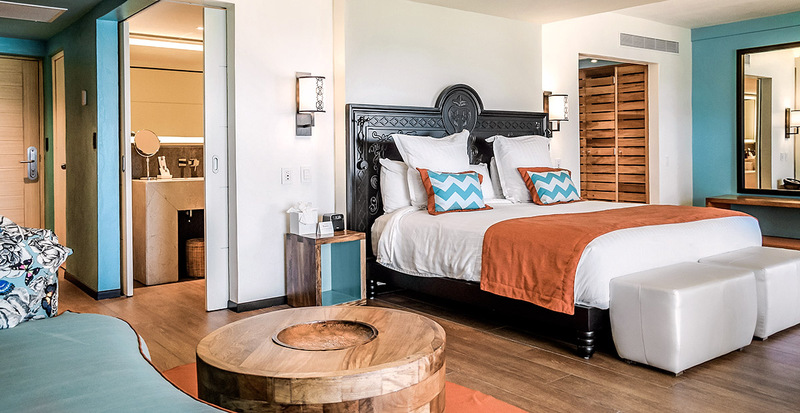 Club Med Cancún Yucatán’s Deluxe Family rooms are perfect for little ones with 678 square feet of space, while 5-Trident Sea View Suites have been renovated to include an in-room Bluetooth system and a relaxing scented shower. Ever pictured yourself flying through the air like an acrobat? 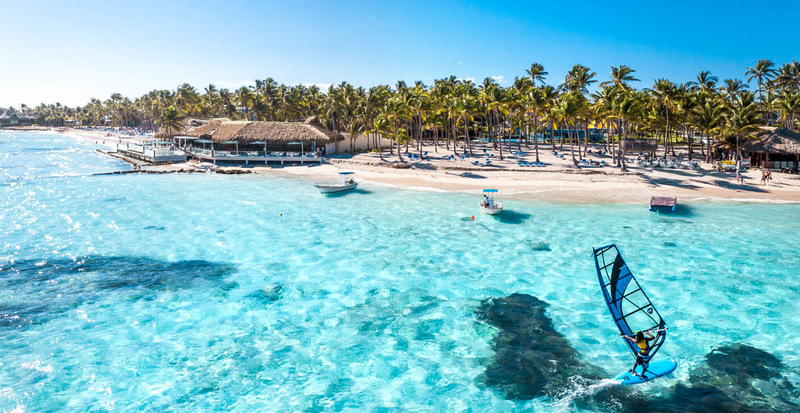 At Club Med Punta Cana, experience CREACTIVE by Cirque du Soleil, an incredible world of aerial fun with a grand trapeze, bungee and other high-flying thrills. 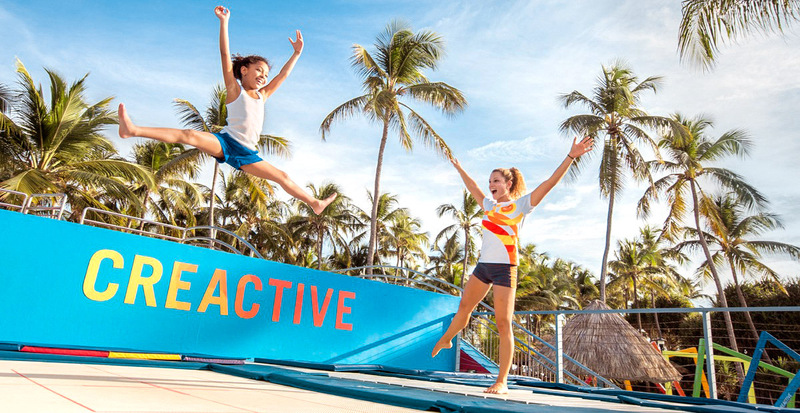 Club Med Cancún Yucatán tempts guests of every age with its adrenaline-fueled trapeze school. 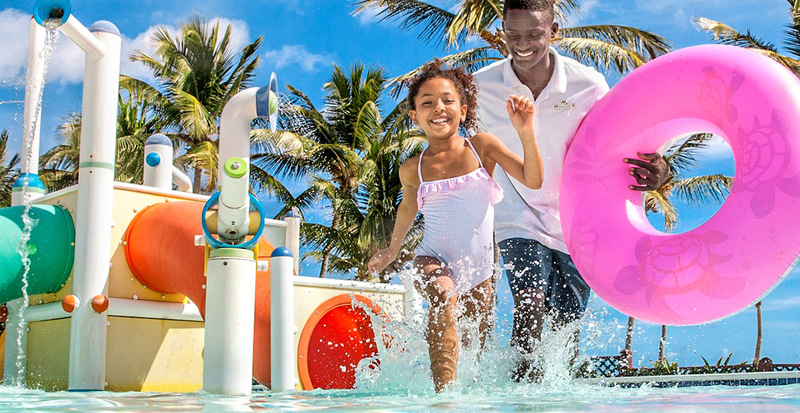 When it comes to being family-friendly, few places in the world can compare to Club Med. You’ll come to depend on the friendly G.O.®s (Gracious Organizers), who have a knack for keeping up with kids ages 2 and up — from scavenger hunts to crafting projects and evening performances. Aspiring young bakers can learn the art of pastry making with the Petit Chef Program®. And did we mention that kids under 4 stay free? The sun is shining in Cancún and Punta Cana. Let’s reserve your Club Med vacation today.